Tonight is the 34th anniversary of the killing of John Lennon. There are millions of people in this world whose lives were enriched by John Lennon, his persona and his music. He told his truth and it was the truth of an entire generation. His death was a tragedy, but his life was an inspiration. 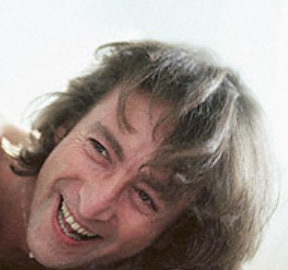 John Lennon would be 70 years old today. A Peace Monument was unveiled today in Liverpool in his honor. The memories and the music live on. 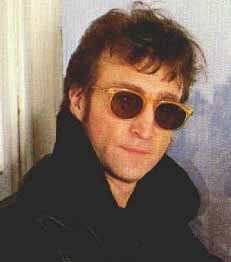 26 Years Ago Today...."An Unspeakable Tragedy in New York City"
26 years ago, on December 8, 1980, John Lennon was shot and killed outside his apartment building on the upper West Side of New York. I heard about it while laying in bed in Denver that night while my then-spouse was watching Monday Night Football. Howard Cosell interrupted the program to announce "An unspeakable tragedy tonight in New York City." I was nine months and three weeks pregnant -- way overdue -- and had just returned from the hospital where they tried to induce labor but failed. Immediately after hearing Cosell's announcement, I heard a loud pop. My water had finally broken. I rushed to the hospital and a few hours later, at 1:00 am MT, the TL kid was born. I tell more about the events of that night here, and how for the past 26 years, I have told the TL kid that when John Lennon's spirit left his body, it must have entered his.